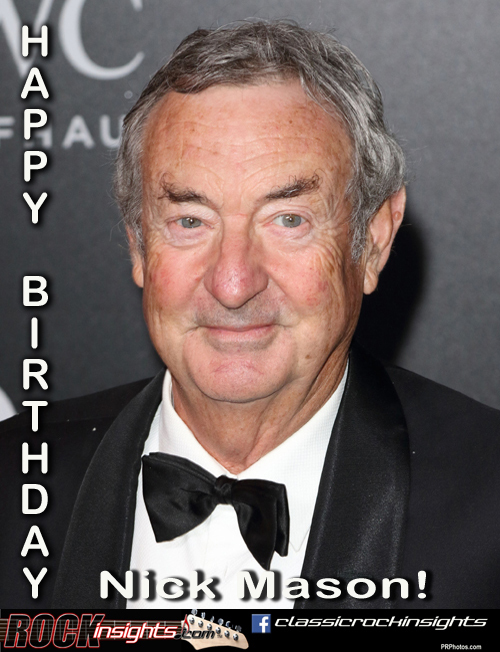 Happy birthday today to the only member of Pink Floyd on every one of the group's albums, drummer Nick Mason, born on this date in 1944 in London. In addition to his decade of keeping the beat for the band many consider the definitive Prog Rock group, Mason is an avid exotic car collector and frequent racer. He and Floyd guitarist David Gilmour have teamed to compete in some endurance races and were both injured in a crash during an off-road race in Mexico. Michael Jackson ignited his hair while filming a Pepsi commercial today in 1985. Bruce Springsteen released Working On A Dream on 1/27/2009. And Pete Seger died on this day in 2014.